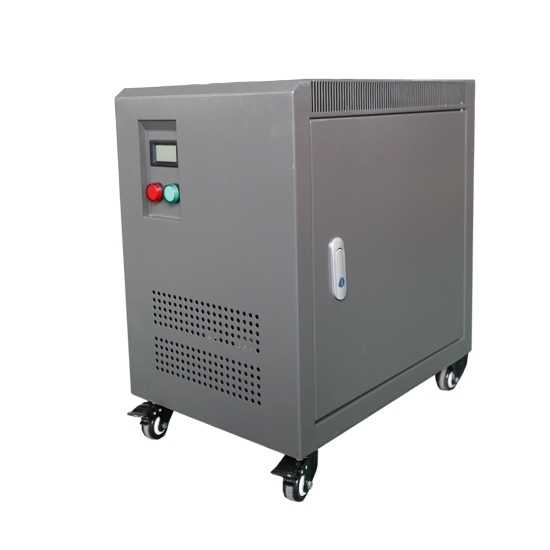 480 Volt 3 phase to 240 Volt 3 phase isolation transformer, 8 kVA power rating, primary and secondary windings are separated by aluminium/copper shield, 230 Volt, 400 Volt or othe voltages can be chosen, long life span and high efficiency. High quality 8 kVA dry type isolation transformer on sale, single phase, which has 120 volt voltage, a ratio of 1:1 between the primary and secondary windings, is used to protect against electric shock between the ground and energized conductors. Three phase 8kVA isolation transformer is designed to step down/up the voltage 480V to 240V, and widely used in various power supply sites with frequency 50Hz/60Hz. The selection of the shell is also very important to the isolation transformer protection and it should be according to the requirements of protection and the using environment, so the shell forms are diversified. 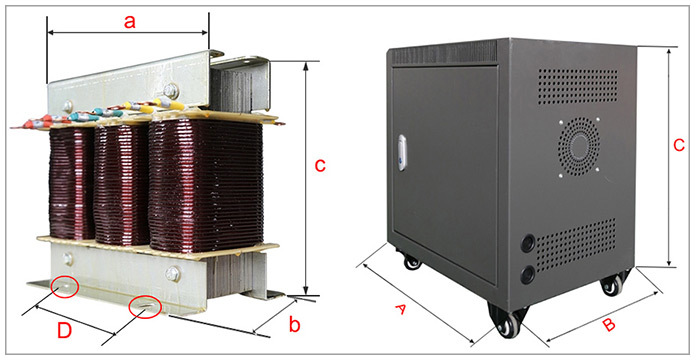 Conventionally, the ATO step up/down single phase and three isolation transformer shell selects IP20 mainly to protect the live parts and to prevent the cats and rats as well as some larges and 12mm diameter foreign matters into the transformer, which may cause short-circuit and other serious accidents. In addition, the outdoor transformer protective shell needs to select IP23, which not only has the above functions, but also can avoid droplets within vertical 60 degrees. However, this will have an impact on the cooling capacity of the isolation transformer, so the operation capacity needs to be paid attention to.